For the first time, the 2010 Baltic Development Forum Summit coincides with the Baltic Sea States Summit and thus provides an exceptional opportunity for the participants in the BDF Summit in Vilnius 1-2 June to receive first hand information of the visions of some of the leading politicians in the Baltic Sea Region. The leading politicians we have the unique opportunity to welcome are: Andrius Kubilius (Prime Minister Lithuania), Maud Olofsson (deputy Prime Minister Sweden), Jens Stoltenberg (Prime Minister Norway), Matti Vanhanen (Prime Minister Finland), Lene Espersen (deputy Prime Minister Denmark), Andrus Ansip (Prime Minister Estonia), Valdis Dombrovskis (Prime Minister Latvia), and Jose Manuel Barroso (President of the European Commission). A Minister from Poland is also expected. On behalf of the Directors of Nordic and the Baltic confederation of industries – who are meeting in parallel to the BDF Summit – CEO Hans Skov Christense will present some proposal to the Prime Ministers as to how growth and green jobs can be created in the region and as part of the EU strategy for the Baltic Sea Region. At the same time the Ministers will receive Baltic Development Forum’s report Going for Green Growth in the Baltic Sea Region which is prepared by Copenhagen Economics and sponsored by the Danish Industry Foundation. The 2010 State of the Region Report released by Baltic Development Forum today ahead of its Annual Meeting in Vilnius, Lithuania, 1-2 June 2010, is titled Top of Europe Recovering: Regional Lessons from a Global Crisis. • To take full advantage of its unique level of existing regional linkages despite a complex political situation following the crisis, the Region should renew the argument for regional collaboration, rethink the appropriate approach towards competitiveness upgrading, and rebuild the institutional framework for collaboration. 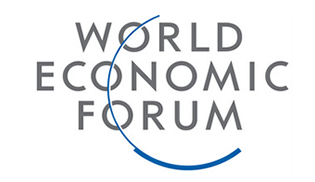 The State of the Region Report, drawing on the World Economic Forum’s Global Competitiveness Report, is authored by Dr. Christian Ketels, Principal Associate at Harvard Business School. Over the years it has become a respected benchmarking tool regarding competitiveness, economic performance and prosperity in Northern Europe. It is used by governments, organizations, financial institutions and business. The 2010 report will also be submitted to the Heads of Governments of the Baltic Sea States Summit, also held in Vilnius 1-2 June. The 2010 report was developed with support of the Nordic Council of Ministers and the European Investment Bank.